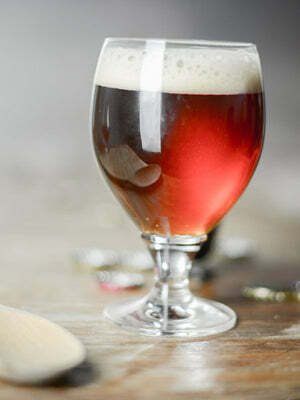 Below are some of our favourite all-grain beer recipes that we thought you might enjoy. These are tried and true recipes that we've brewed ourselves, usually multiple times in order to perfect and tweak them to our liking. 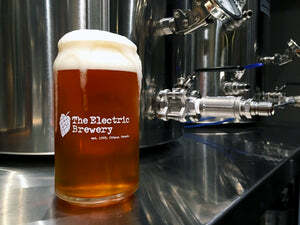 Each recipe is designed to produce 12 US gallons of wort, which results in at least 10 US gallons of packaged beer after fermentation and various losses. 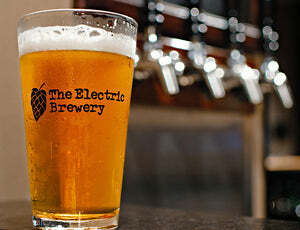 The recipes have been tailored to the mash efficiency we achieve on our Electric Brewery. 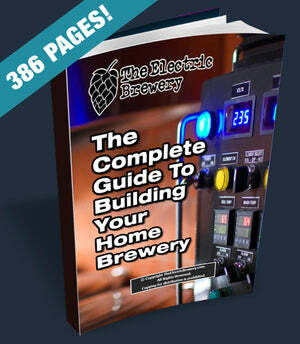 Use our Brew Day: Step by Step instructions to brew them if your setup is identical to ours. If your setup is different, feel free to scale them to meet the needs of your particular equipment. Got a recipe you'd like to share? Post it in our Recipes & Ingredients sub-forum. A great source of recipes is also Jamil Zainasheff's book Brewing Classic Styles. Our original signature beer! This is an all late-addition American Pale Ale (APA) where hops are only added in the last 20 minutes to give it very smooth bitterness with a massive hop flavour. It's one of our house beers that we love to keep on tap as it's dry and thirst quenching. 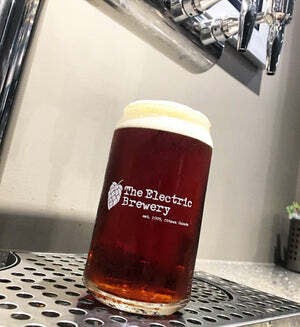 A lower alcohol (4.3% ABV) version of our signature Electric Pale Ale, perfect for those days when you're looking for all the flavour but don't necessarily want to feel the effects after having a few pints. 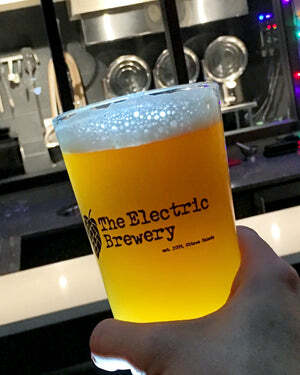 A lower alcohol 'sessionable' version of our Electric Hop Candy New England IPA (NEIPA). Similar soft and pillowy mouthfeel full of juicy fruit-forward hop flavours and aromas, but with less alcohol. 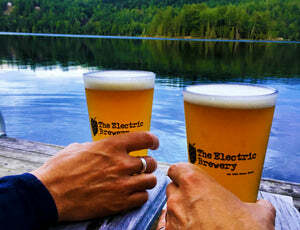 The perfect cottage beer! ABV: 5.0% OG: 1.052 FG: 1.014 SRM: 5.6 IBU: 24? An experimental beer that pushes hop flavours and aromas as far as possible. A massive amount of hops are steeped after the boil and held at specific temperatures, a process used by popular beers like Heady Topper. Our control panel with advanced control allows this (unlike a dial-type boil control). Similar to an American Pale Ale but with a stronger caramel flavour, more body, darker in colour, and more of a balance between bitterness and maltiness. 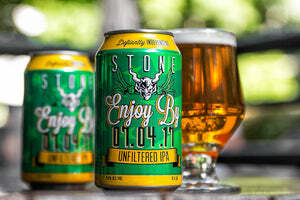 A unique IPA with a surprisingly soft and pillowy mouthfeel, full of juicy, fruit-forward hop flavours and aromas, with a subdued bitterness to enhance drinkability. Brilliant but hazy, as succulent as fresh tropical fruit. ABV: 6.5% OG: 1.065 FG: 1.015 SRM: 6.9 IBU: 40? An American IPA with lots of citrusy / piney / fruity / resiny hop flavour. This recipe purposely keeps the standard 60 minute bittering hops somewhat restrained. Most of the flavour hops are done at 5 minutes before flame-out to give the beer a massive hop flavour. The beer is then also heavily dry-hopped for additional aroma. Bitter enough to be an IPA but not over the top mouth-puckering. A combination of unique New Zealand hops produce a tropical punchbowl of flavours including passion fruit, limes, oranges and Sauvignon blanc grapes. 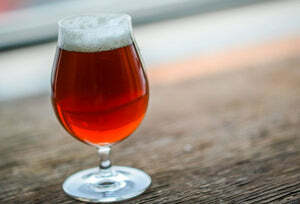 This is a recipe by well known home brewer Mike McDole (aka 'Tasty' on the forums he frequents) that took gold at the 2004 National Homebrew Competition for its category. 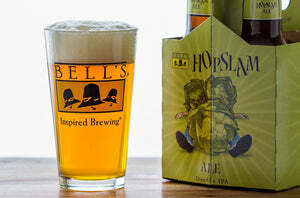 If you like hoppy American style ales, this is one you definitely have to try. A big American IPA; bold, assertive, and full of flavour highlighting the complex citrus, pine, and herbal character of American hops. Named for the unique dry-hopping technique of recirculating the finished beer through cylindrical torpedo-like vessels filled with hops. A rugged IPA with fruity, citrus and herbal hop notes balanced with the dry spiciness of rye. The aggressive use of Columbus and Simcoe hops provides a strong earthy character with a unique pungent and dank hop-aroma, blended with pine resin flavours. The combination is intense, for hop lovers only. 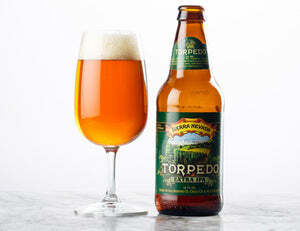 An American style IPA that uses only Centennial hops for a hoppy, but balanced finish. Very drinkable. 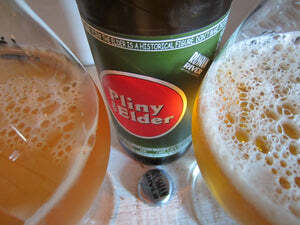 Considered a truly historic beer by many. 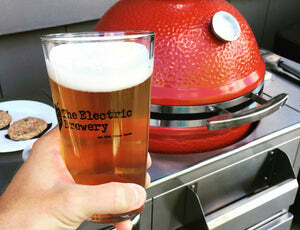 The homebrewer favourite! An American Double IPA with an explosion of fresh hop aroma of floral, citrus, and pine. A definite must-brew for any hop-head. Over 41 oz of hops are used in this 10 gallon recipe. The beer has undergone some minor tweaks over the years, so you'll see variations posted all over the internet. Our recipe is based on something close to the original, scaled for our system. Christened as best beer in the world by Beer Advocate in 2009, this Triple IPA has garnered a massive cult-like following over the years. Only available once a year at select bars in California during a short 2-week period. Now you can brew your own and drink it year round! ABV: 10.5% OG: 1.088 FG: 1.008 SRM: 6.5 IBU: ??? Intense dank hoppiness, with flavours of peaches and hints of tropical fruits. Brewed and distributed to be consumed as fresh as possible to maximize the flavours produced by the medley of nine hops, including Galaxy and Nelson Sauvin. Six different hops in the kettle topped off with a big dry-hop of Simcoe results in a pungent blend of grapefruit, stone fruit, and floral notes. A remarkably drinkable rendition of the Double India Pale Ale style. 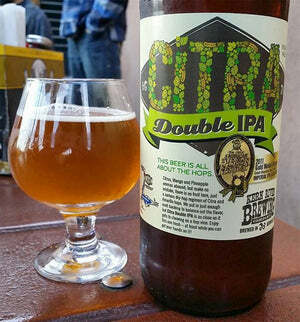 A Gold winner at the 2011 Great American Beer Festival, this double IPA includes massive citrus and tropical/fruit notes. 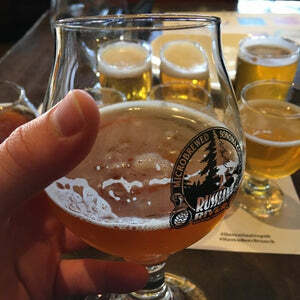 Not overly bitter, this beer is often referred to one that is "liked by many that don't like IPAs, and loved by those that do." 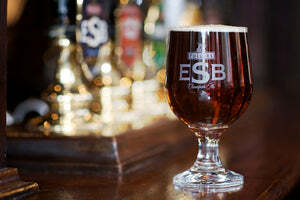 Fuller's ESB is a full-bodied ale with a rich mahogany appearance. The unique blend of Northdown, Target, Challenger and Goldings hops imparts grassy, peppery notes along with citrus fruit characters of grapefruits, oranges and lemons. 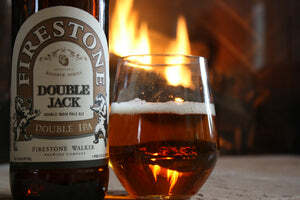 The blend of Pale Ale and Crystal malts give a biscuity, toffee element to the beer. 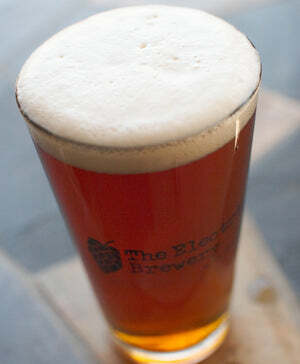 An easy drinking (lower alcohol, lower bitterness) English style pub ale with a smooth, full-bodied malty flavour. Quaffable and refreshing. Heavily inspired by the commercial beer Boddingtons Pub Ale. 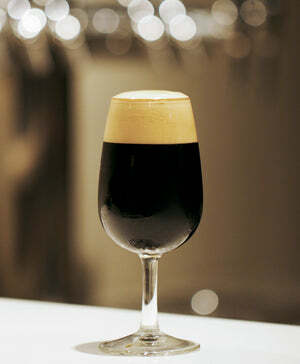 Best served on cask or on a stout faucet with a Nitrogen / CO2 beer gas blend for a nice creamy head with low carbonation. An English style ale with lots of flavour but without all the alcohol. Mild is a beer that can be enjoyed all day. Lightly hopped, refreshing, and flavourful. A rich, creamy mouthfeel complements a layered depth, revealing distinctive chocolate and coffee notes. Full of flavour, yet easy to drink. 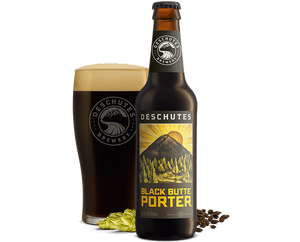 The flagship beer that started it all for the Bend Oregon brewery. 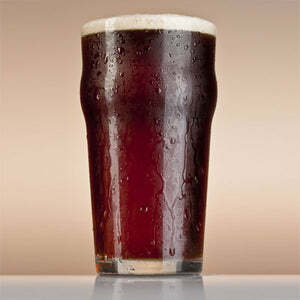 Irish Red Ale is mild, moderately malty beer that is best known for its deep reddish copper colour. Closely related to English Bitters, it has an initial sweetness and a subtle roasted dryness in the finish. 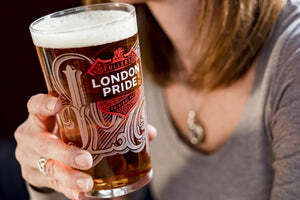 An easy-drinking pint. A very dark, roasty, bitter, creamy ale. 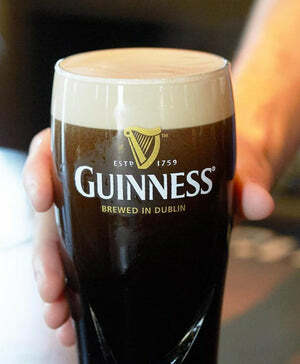 The most famous example being Guinness which was the main inspiration for our recipe. This is a sharp (not to be mistaken with harsh), dry beer with a bittersweet coffee/chocolate finish. A rich, deep, intensely flavoured full bodied ale with roasty, dry chocolate, almost tar-like sensations. Complex dark fruit flavours of plum and raisin. This is a high alcohol sipping beer with rich/luxurious depth that can be aged for years. Optionally Bourbon barrel aged (without all the complexities of barrel management). A strong American style Barleywine meant for sipping on a cold winter night. This is a high alcohol beer (12% ABV) that needs a good year or two of aging before reaching its peak. 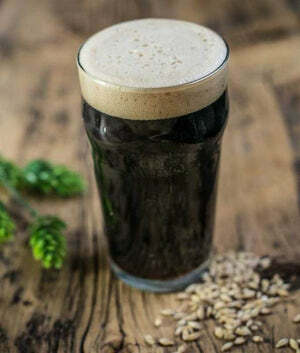 This recipe uses a massive amount of grain to reach the higher than normal alcohol content and will push your brewing setup to the limits. 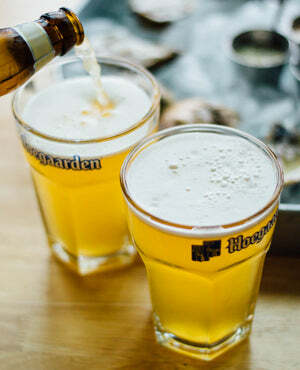 Belgian white beer (Witbier) has a unique cloudy-white appearance with very little bitterness, some spiciness, and a slightly sour/tart finish. It's a refreshing beer for hot summer days. A pale, spicy, fruity, refreshing wheat-based German ale. The signature banana/clove flavour comes from the use of the unique Weihenstephan yeast. 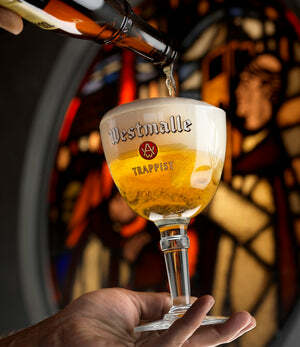 A high alcohol Trappist beer with hints of spiced honey, soft banana, and cloves. Perfectly clear and golden yellow. 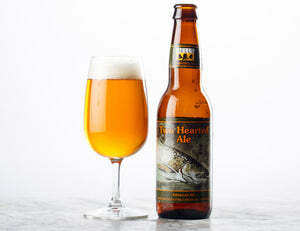 A complex sipping beer, with a great deal of finesse and elegance. Often referred to as Farmhouse Ales, Saisons are crisp and dry pale ales that are highly carbonated and feature fruity / spicy notes. A clean tasting lager with a deep amber color, thick & creamy head, and subtle grainy / toasty / caramelly notes. Balanced by a firm hop bitterness with distinct woody/minty flavours from the exclusive use of Northern Brewer hops. Crisp and quaffable. 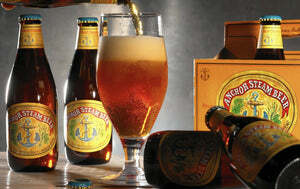 A copper-coloured, cool-fermented and lagered ale, making it somewhat of a hybrid between ales and lagers. Clean-tasting, with an aromatic hop presence, some bitterness, a firm creamy head, a medium body, and a dry finish. 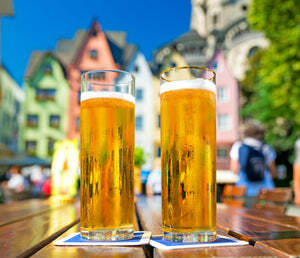 It is one of only a handful of traditional German ales. One of our house favourites. It's a big hit with everyone who tries it as there's enough malt and hop flavour to keep the beer snobs happy (we don't use any corn or rice), but it's still light enough to not scare away the Bud / Miller / Coors drinkers. A crisp, clean tasting American style beer. 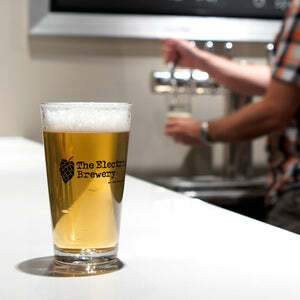 Less flavour than our Blonde Ale/Premium Lager as it uses Domestic 2-row instead of Pilsner malt and 10% adjuncts. A clean, malt-focused German lager with a gentle, bready malt character. 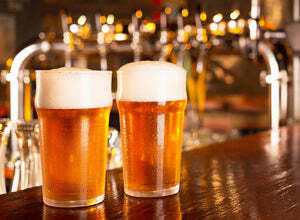 It's a smooth, easy-drinking beer that is often consumed by the liter. 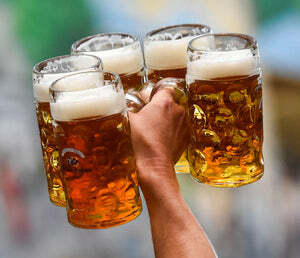 Since the 1970s it has been the most common beer served at Oktoberfest in Germany. A clean, crisp, delicate beer with soft malt and hop character originally brewed only in Cologne. Served in tall cylindrical 0.2 litre Kölsch glasses. 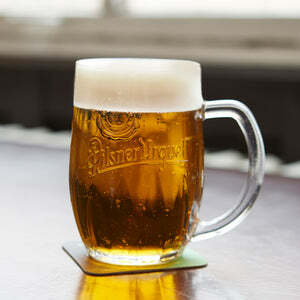 Bohemian Pilsner is a medium-bodied beer with a rich, grainy malt flavour (from the Pilsner malt) that is complimented by a spicy and floral hop character (from the Czech Saaz hops). Crisper and dryer than a Bohemian Pilsner, a German Pilsner is brewed with harder water which helps accentuate the noble German Tettnanger and Hallertau hop flavours. A German black lager with light roast character, clean malt flavours, and the flowery, spicy notes of noble Hallertau hops. Cold fermentation and conditioning results in a beer with a clean, dry finish. This is not a heavy beer.